MOSCOW– Russia has handed over to Zimbabwe the first batch of medicines to fight a cholera outbreak registered in that country this autumn, the Russian Foreign Ministry reported on Thursday. “The ceremony of handing over to Zimbabwe the first batch of Russian aid in the form of drugs delivered by the Russian Emergencies Ministry took place in Harare on November 28 in the presence of the Russian Embassy’s representatives. It is also planned to send equipment to create mobile medical centers,” the ministry said. Medicines and equipment were transferred to Zimbabwe’s authorities as part of the Russia-funded project to bolster the World Health Organization’s capacity in emergency medical preparedness and response, the ministry explained. The Zimbabwean government announced a cholera outbreak on September 6, with a state of emergency introduced on September 11. Some schools were closed, a ban on fish and meat trade was imposed. According to the country’s Ministry of Health, 49 people have died of cholera. 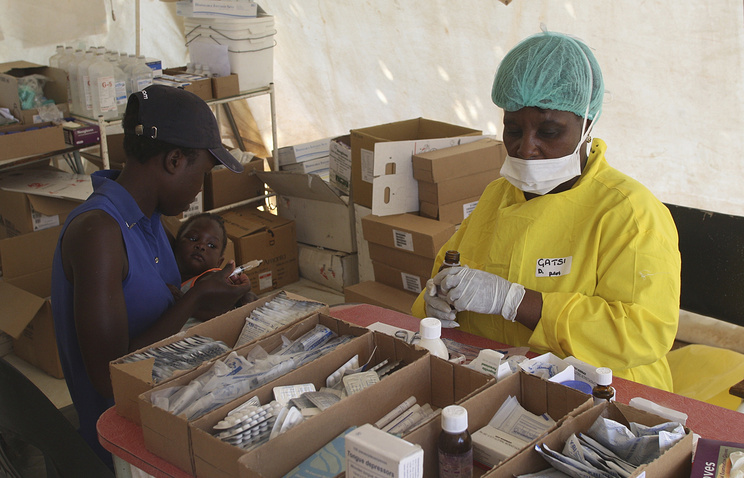 About 11,000 people suspected of being infected with cholera were admitted to hospitals.